When it comes to personal property, it is the legal responsibility of the owner of the said property to ensure that its tenants are safe and sound. This is why personal damage cases that involve being in another person’s property normally involves having to prove that the owner of the property is actually aware of the elements that can cause damage, and that there was some form of neglect that happened, and it ultimately resulted to injury. In this particular case, our client suffered a bad slip when he fell on the hallway in front of his apartment. Apparently the building superintendent was cleaning the hallway he was in but was not able to place adequate signage for him to notice and be more careful. The hallways was in fact shaped like an L, making it difficult for other tenants to see the signage even if it was placed in the vicinity. When the client contacted the Orlow Firm, we first made sure the client got evidence that the building was in fact unable to provide space to see the signage in the first place. This was done by taking pictures of the place where he fell down, and how its location was not given consideration when the signage was placed by the building superintendent. To make sure our client did not have any more damages, we referred him to a doctor and checked if the building managers could provide insurance. In the end, we were able to get a settlement and our client was able to get treatment for his knee. We in the Orlow Firm ensures that our clients are made aware of their rights and responsibilities as tenants and occupants of these kinds of establishments. We also guarantee that our clients are made aware of the various circumstances and processes that are taking place while their cases are being dealt with in court. In the cases of personal damages, we also try in our utmost to get the best treatment possible depending on the particulars of our clients’ cases. 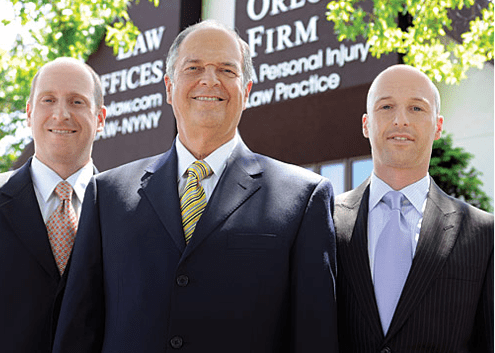 Anyone curious about certain aspects of the law can contact The Orlow Firm and its New York Office. One of our lawyers may provide assistance with different cases courtesy of a free consultation.